The First Kentucky Securities team in Louisville helps individuals, institutions, corporations and municipalities achieve their financial goals. Tyler D. Current, AIF, MBA, is a Senior Vice President and Partner at First Kentucky Securities, and serves on the Board of Directors. Tyler’s group, Current Wealth Management, has been partnering with individuals, families and businesses in areas of personal and professional financial planning since 2010. Having grown up with a dad in the investment business, Tyler became enthralled with the markets and finance at a young age. He knew early on that he wanted to help people develop comprehensive financial strategies they could rely on for a lifetime. After earning his BS in Financial Economics from Centre College, Tyler went on to obtain his MBA from the University of Louisville. 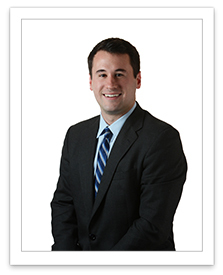 After interning at several firms, Tyler launched his career in 2010 and joined First Kentucky Securities in 2012. Today, Tyler specializes in comprehensive financial planning, income planning, legacy planning, investment management, and retirement plan optimization for small businesses. Adamant about serving the best interest of his clients at all times, Tyler is an Accredited Investment Fiduciary (AIF), holds his Series 7 and 66 securities licenses, Life/Health Insurance licenses, and is a FINRA Arbitrator. He brings integrity, honesty, and expertise to every client interaction and plan creation; and strives to build deep relationships with every individual and business he serves. Tyler lives on a 20-acre farm just outside Louisville with his wife, Sarah and their three dogs: Bailey, Baxter, and Cooper. In his free time, Tyler enjoys traveling, spending time with friends and family, and being on his farm. Mike brings over 38 years of business experience to his role of Vice President of Investments at First Kentucky Securities. With 15 years as a financial advisor, Mike offers a vast array of investment opportunities including college planning, fixed income solutions, retirement planning, estate planning, mutual funds and other timely investment ideas. A native of Louisville, Mike attended the University of Kentucky, where he earned his Bachelor of Arts in Communications. He continues his affiliation with the University through his involvement with the UK Alumni Association. Mike also serves as Class Agent for the 1968 graduating class of St. Xavier High School. Mike is married to his wife of 40 years, Betty. He has two children and three grandchildren. 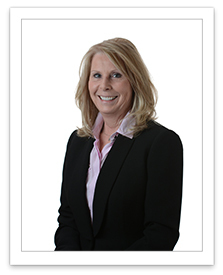 As a Certified Financial Planner™ and Chartered Wealth Advisor®, Janey has over 25 years of experience in the financial industry. Her expertise lies in retirement and estate planning; positioning her clients to be secure in knowing that they will not outlive their income or assets in the “golden years”. Janey also works with business owners on business insurance, and prepares valuations for those who want to ascertain the value of their business for possible sale. 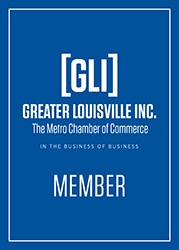 Prior to joining First Kentucky in 2015, Jennings acted as a financial planner at several esteemed Louisville firms over the years, including US Bancorp Investments, PNC Investments, and Kentucky Financial Group, Inc. She is a 1980 graduate of the University of Louisville. Prior to joining First Kentucky Securities, Mr. Kramer was employed in various bank management positions in Owensboro and Henderson, Kentucky, including Controller, Auditor and Registered Representative. He was a founding executive/investor in First Security Bank of Owensboro, Kentucky. Mr. Kramer has a Bachelor of Science degree in Accounting from the University of Kentucky and successfully completed the Graduate School of Banking program at the University of Wisconsin. 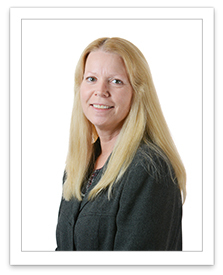 Ann joined First Kentucky Securities in 2012 and brought with her over 20 years of experience in brokerage operations and compliance. Her career began in 1988 at J.C. Bradford and then Prudential Securities as the Operations Manager. Prior to First Kentucky, she was the Branch Compliance Administrator at Morgan Keegan. Richard O’Connor is a graduate of St. Xavier High School and the University of Louisville. He received a Bachelor’s degree with a focus in Finance and Economics. 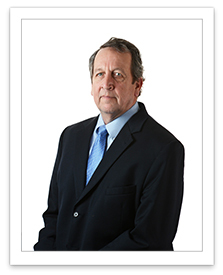 Richard began his financial career in 1988 at J.C. Bradford as a Financial Advisor. He joined First Kentucky Securities in 2009. 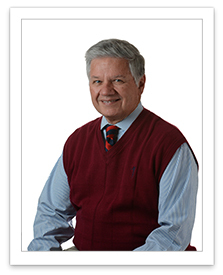 Richard utilizes multiple strategies and various investments to help his clients meet their individual financial needs. He focuses on 13 wealth management issues to help his clients define their goals, as well as outline a path to meet their desired financial needs. 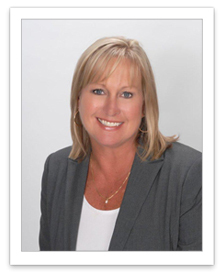 Vickie joined First Kentucky Securities in 2009 as a Customer Operations Specialist. With over 25 years of experience in the industry since beginning her career at E.F. Hutton in 1988, she is an expert in developing and managing administrative systems and customer protocols that provide high-quality, efficient, professional service for our clients. 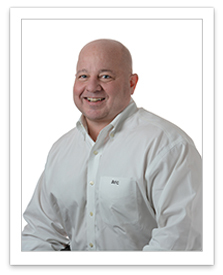 Mr. Moss began his brokerage career at Dean Witter Securities in 1995. His field of expertise is in Managed Money Products. He is a graduate of Bellarmine University in Louisville, and came onboard with First Kentucky Securities in 2005.